Today is the birthday (1764) of Admiral Sir William Sidney Smith, GCB, GCTE, KmstkSO, FRS a British naval officer who served in the American and French revolutionary wars, as well as the Swedish Navy,who later rose to the rank of admiral. Chances are that you have never heard of Sidney Smith (as he called himself), but have heard of the Duke of Wellington and Lord Nelson. Yet . . . Napoleon Bonaparte, reminiscing later in his life, said of Sidney Smith: “That man made me miss my destiny.” Why is this? Sidney Smith was born into a military and naval family with connections to the Pitt family. He was born at Westminster, the second son of Captain John Smith of the Guards and his wife Mary Wilkinson, daughter of wealthy merchant Pinckney Wilkinson. 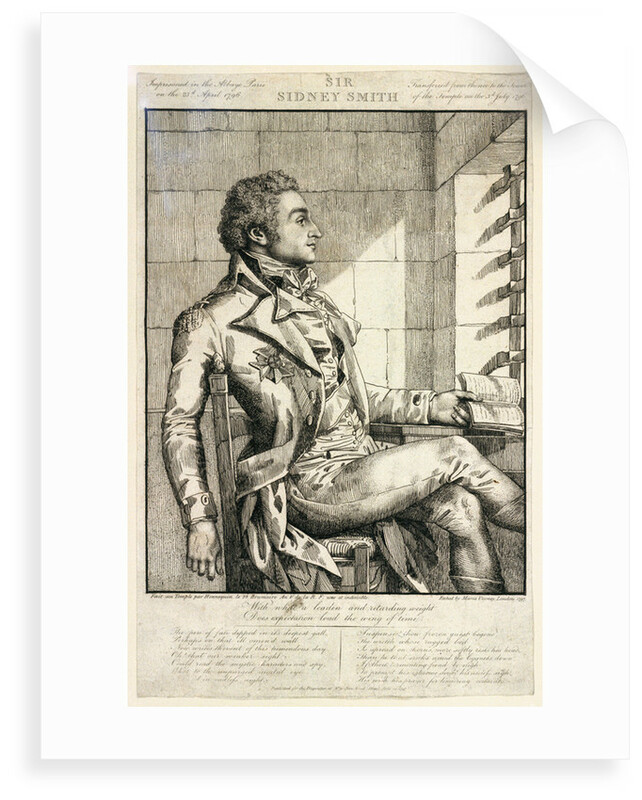 Sidney Smith attended Tonbridge School until 1772. He joined the Royal Navy in 1777 and fought in the American Revolutionary War, where he saw action in 1778 against the American frigate Raleigh. For his bravery under Rodney in the action near Cape St Vincent in January 1780, Sidney Smith was, on 25th September, appointed lieutenant of the 74-gun third-rate Alcide, despite being under the required age of 19. He distinguished himself under Admiral Thomas Graves at the Battle of the Chesapeake in 1781 and under Admiral George Rodney at the Battle of the Saintes and in consequence was given his first command, the sloop Fury. He was soon promoted to captain a larger frigate, but following the peace of Versailles in 1783, he was put ashore on half pay. During the peace, Smith chose to travel to France and first became involved with intelligence matters while observing the construction of the new naval port at Cherbourg. He also traveled in Spain and Morocco which were also potential enemies. In 1790, he applied for permission to serve in the Royal Swedish Navy in the war between Sweden and Russia. King Gustav III appointed him to command a light squadron and to be his principal naval adviser. Smith led his forces in clearing the Bay of Viborg of the Russian fleet, known as the Battle of Svensksund. The Russians lost 64 ships and over 1,000 men. The Swedes lost 4 ships and had few casualties. For this, Smith was knighted by the king and made a Commander Grand Cross of the Swedish Svärdsorden (Order of the Sword). Smith used this title, with King George III’s permission, but was mocked by fellow British officers as “the Swedish knight.” There were a number of British officers, on half pay like Smith, who had enlisted and fought with the Russian fleet and six had been killed in this action. As a result, Smith earned the enmity of many British naval officers for his Swedish service. In 1792, Smith’s younger brother, John Spencer Smith, was appointed to the British embassy to the Ottoman court in Constantinople. Smith obtained permission to travel to Turkey. While there, war broke out with Revolutionary France in January 1793. Smith recruited some British seamen and sailed to join the British fleet under Admiral Lord Hood which had occupied the French Navy’s principal Mediterranean port of Toulon at the invitation of the French “Royalist” forces (they were not so much pro-royalty, as against the Reign of Terror). By Smith’s arrival in December 1793, the Revolutionary forces, including a colonel of artillery, Napoleon Bonaparte, had surrounded the port and were attacking it. The British and their allies had insufficient soldiers to mount an effective defense and so the port was evacuated. Smith, serving as a volunteer with no command, was given the task of burning as many French ships and stores as possible before the harbor could be captured. Despite his efforts, lack of support from the Spanish forces sent to help him left more than half of the French ships to be captured undamaged. Although Smith had destroyed more French ships than had the most successful fleet action to that date, Nelson and Collingwood, among others, blamed him for this failure to destroy all of the French fleet. Smith and Nelson were, at the same time, both friends and rivals. Both were strong-willed individuals with giant egos who preferred to buck the system rather than follow orders. On his return to London, Smith was given command of the fifth-rate HMS Diamond and in 1795 joined the Western Frigate Squadron under Sir John Borlase Warren. This squadron consisted of some of the most skillful and daring captains including Sir Edward Pellew. Smith fitted the pattern and on one occasion took his ship almost into the port of Brest to observe the French fleet. In July 1795, Smith, commanding the western frigate squadron in HMS Diamond, occupied the Îles Saint-Marcouf off the coast of Normandy. He sacrificed two of his gun vessels, HMS Badger and HMS Sandfly, to provide materials and manpower for fortifying the islands and setting a temporary naval garrison. Further defenses were constructed by Royal Engineers, and Royal Marines and Royal Artillery detachments were established. The islands served as a forward base for the blockade of Le Havre, a launching point for intercepting coastal shipping, and as a transit point for French émigrés, and were held by the Navy for nearly 7 years. Smith specialized in inshore operations, and on 19th April 1796, he and his secretary John Wesley Wright were captured while attempting to cut out a French ship in Le Havre. Smith had taken the ship’s boats into the harbor, but the wind died as they attempted to leave the harbor, and the French were able to recapture the ship with Smith and Wright aboard. Instead of being exchanged, as was the custom, Smith and Wright were taken to the Temple prison in Paris where Smith was to be charged with arson for his burning of the fleet at Toulon. As Smith had been on half pay at the time, the French considered that he was not an official combatant. 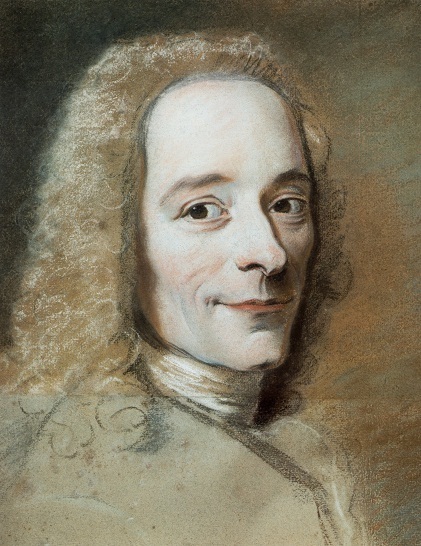 Whilst in the Temple prison he commissioned a drawing of himself and his secretary John Wesley Wright from the French artist Philippe Auguste Hennequin, which is now in the British Museum. 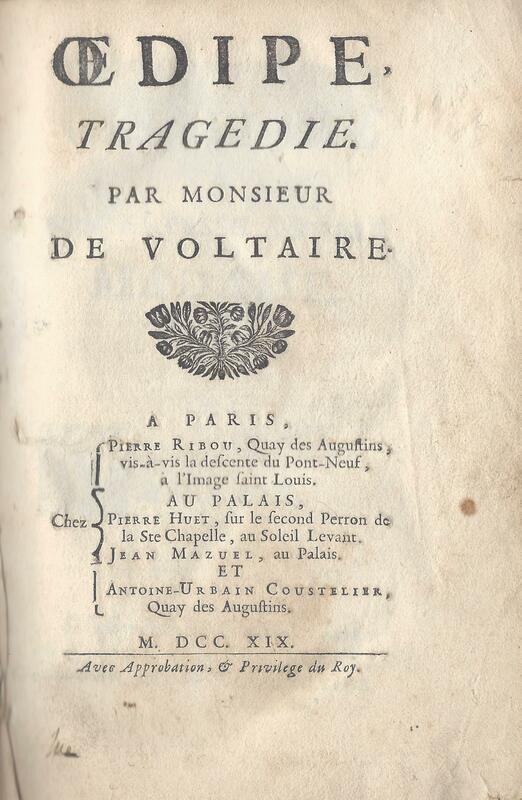 He was held in Paris for two years, despite a number of efforts to exchange him and frequent contacts with both French Royalists and British agents. 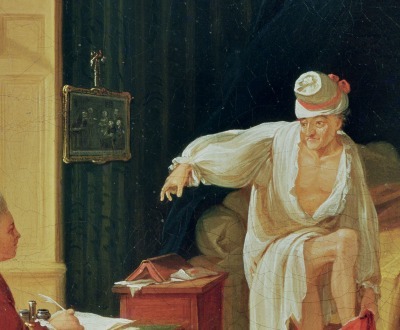 Notably Captain Jacques Bergeret, captured in April 1796 with the frigate Virginie, was sent from England to Paris to negotiate his own exchange; when the Directoire refused, he returned to London. The French authorities threatened several times to try Smith for arson, but never followed up on the threats. Eventually in 1798 the Royalists, who pretended to be taking him to another prison, helped Smith and Wright to escape. The royalists brought the two to Le Havre, where they boarded an open fishing boat and were picked up on 5th May by HMS Argo on patrol in the English Channel, arriving in London on 8th May 1798. Bergeret was then released, the British government considering the prisoner exchange as completed. 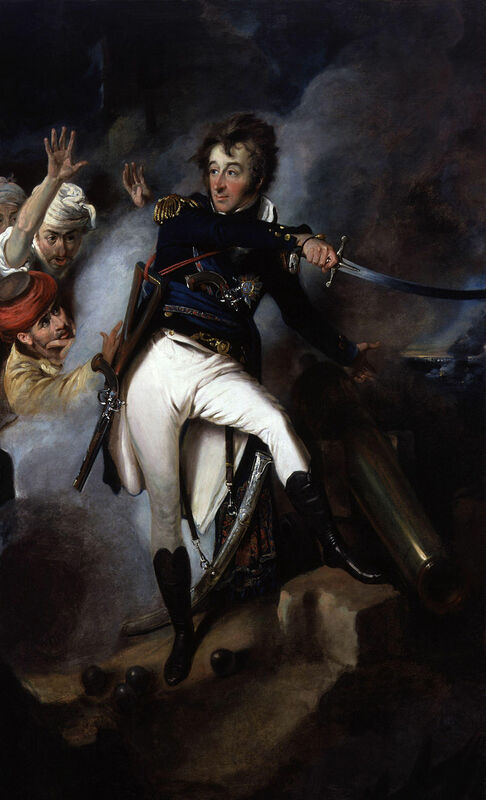 Following Nelson’s overwhelming victory at the Battle of the Nile, Smith was sent to the Mediterranean as captain of HMS Tigre, a captured 80-gun French ship of the line which had been brought into the Royal Navy. It was not a purely naval appointment, although he was ordered to place himself under the command of Lord St Vincent, the commander-in-chief of the Mediterranean. St Vincent gave him orders as Commodore with permission to take British ships under his command as required in the Levant. He also carried a military and diplomatic mission to Istanbul where his brother was now a Minister Plenipotentiary to the Sublime Porte. The mission’s task was to strengthen Turkish opposition to Napoleon and to assist the Turks in destroying the French army stranded in Egypt. This dual appointment caused Nelson, who was the senior officer under St Vincent in the Mediterranean, to resent Smith’s apparent superseding of his authority in the Levant. Nelson’s antipathy further adversely affected Smith’s reputation in naval circles. 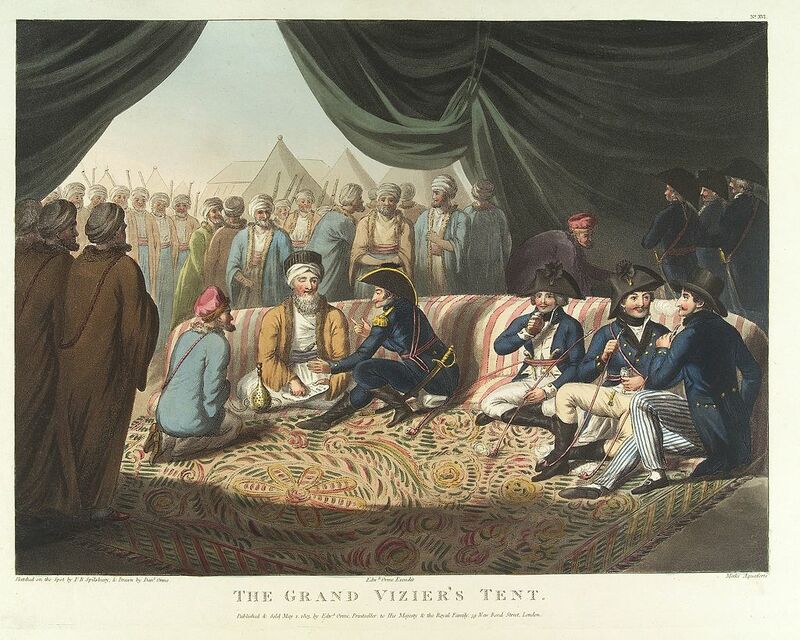 Napoleon, having defeated the Ottoman forces in Egypt, marched north along the Mediterranean coast with 13,000 troops through Sinai and into what was then the Ottoman province of Syria. Here he took control of much of the southern part of the province, now modern-day Israel and Palestine, and of a single town in today’s Lebanon, Tyre. On the way north, he captured Gaza and Jaffa and massacred captured Turkish soldiers, whom he was unable to take with him or send back to Egypt. Napoleon’s army then marched to Acre. Smith sailed to Acre and helped the Turkish commander Jezzar Pasha reinforce the defenses and old walls and supplied him with additional cannon deployed by sailors and marines from his ships. He also used his command of the sea to capture the French siege artillery being sent by ship from Egypt and to deny the French army the use of the coastal road from Jaffa by bombarding the troops from the sea. Once the siege began in late March 1799, Smith anchored HMS Tigre and Theseus so their broadsides could assist the defense. Repeated French assaults were driven back, several attempts to mine the walls were prevented. By early May, replacement French siege artillery had arrived overland and a breach was forced in the defenses. However, the assault was again repelled and Turkish reinforcements from Rhodes were able to land. On 9th May after another fierce bombardment, the final French assault was made. This, too, was repelled and Napoleon began making plans for the withdrawal of his army to Egypt. Shortly after this, Napoleon abandoned his army in Egypt and sailed back to France evading the British ships patrolling the Mediterranean. Smith attempted to negotiate the surrender and repatriation of the remaining French forces under General Kléber and signed the Convention of El-Arish. However, because of the influence of Nelson’s view that the French forces in Egypt should be annihilated rather than allowed to return to France, the treaty was abrogated by Lord Keith who had succeeded St Vincent as commander-in-chief. The British decided instead to land an army under Sir Ralph Abercromby at Abukir Bay. Smith and Tigre were involved in the training and transport of the landing forces and as liaison with the Turks, but his unpopularity resulted in the loss of his diplomatic credentials and his naval position as Commodore in the eastern Mediterranean. 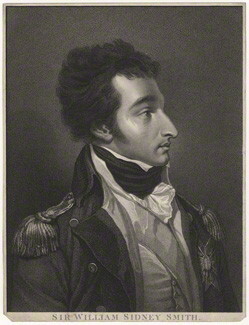 The invasion was successful and the French defeated, although Abercromby was wounded and died soon after the battle. Following this Smith then supported the army under Abercromby’s successor John Hely-Hutchinson, which besieged and captured Cairo and finally took the last French stronghold of Alexandria. The French troops were eventually repatriated on similar terms as those previously obtained by Smith in the Convention of El-Arish. 1801, Smith received some honors and a pension of £1,000 for his services, but he was overshadowed again by Nelson who was being acclaimed as the victor of the Battle of Copenhagen. During the brief Peace of Amiens, Smith was elected Member of Parliament for Rochester in Kent in the election held in 1802. There is strong evidence that he had an affair with Princess Caroline of Brunswick, the estranged wife of the Prince of Wales. Although she became pregnant, she was notorious for having a number of other lovers at the same time, such as George Canning and Thomas Lawrence, so it is doubtful that the child was Smith’s. 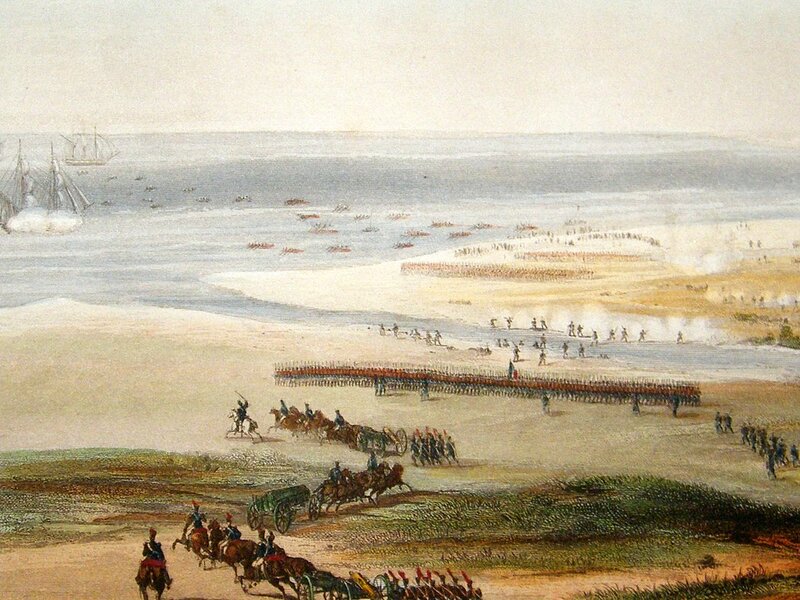 With the resumption of war with France in 1803, Smith was employed in the southern North Sea off the coast between Ostend and Flushing part of the forces gathered to prevent Napoleon’s threatened invasion. 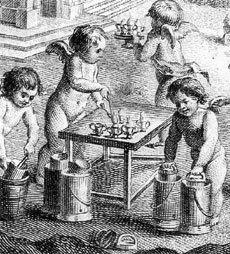 Like Nelson, Smith was interested in new and unusual methods of warfare. In 1804 and 1805, he worked with the American inventor Robert Fulton on his plans to develop torpedoes and mines to destroy the French invasion fleet gathering off the French and Belgian coasts. However, an attempt to use the new weapons combined with Congreve rockets in an attack on Boulogne was foiled by bad weather and the French gunboats that came out to threaten the attackers. Despite this setback, suggestions were made that the rockets, mines and torpedoes be used against the combined French and Spanish Fleet in Cádiz. This was not necessary as the combined fleet sailed to defeat at the Battle of Trafalgar in October 1805. In November 1805, Smith was promoted to Rear Admiral, he was again sent to the Mediterranean under the command of Collingwood, who had become the commander-in-chief following Nelson’s death. Collingwood sent him to assist King Ferdinand I of the Two Sicilies to regain his capital of Naples from Napoleon’s brother King Joseph, who had been given the Kingdom of Naples. Smith planned a campaign using Calabrian irregular troops with a force of 5,000 to march north on Naples. On 4 July 1806, they defeated a larger French force at the Battle of Maida. Once again, Smith’s inability to avoid offending his superiors caused him to be replaced as commander of the land forces despite his success. He was replaced by Sir John Moore, one of Britain’s most able soldiers. Moore abandoned Smith’s plan and resorted to making the island of Sicily a strong British base in the Mediterranean. 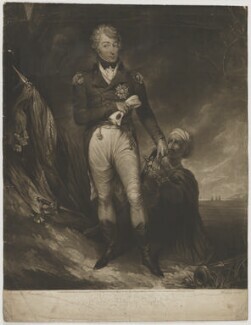 Smith was sent to join Admiral Sir John Thomas Duckworth’s expedition to Constantinople in February 1807. This was intended to forestall the French from making an alliance with the Turks to allow free passage of their army to Egypt. 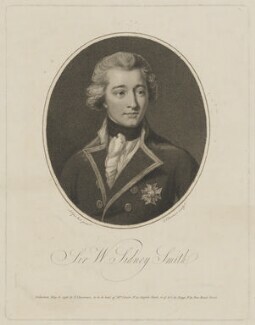 Despite Smith’s great experience in Turkish waters, his knowledge of the Turkish court, and his personal popularity with the Turks, he was kept in a subordinate role. Even when Duckworth eventually did ask for his advice, he did not heed it. Duckworth, instead of allowing Smith to negotiate with the Turks, which the French ambassador later said would have been the end of the French overtures, retreated back through the Dardanelles under heavy Turkish fire. Although this was a defeat, the withdrawal under fire was played up as a heroic feat. In the summer of 1807, Duckworth and Smith were recalled to England. In October 1807, Spain and France signed a treaty to divide Portugal between them. 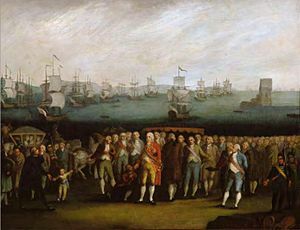 In November 1807, Smith was appointed to command an expedition to Lisbon, either to assist the Portuguese in resisting the attack or to destroy the Portuguese fleet and blockade the harbor at Lisbon should that be unsuccessful. Smith arranged for the Portuguese fleet to sail for Brazil, at that time a Portuguese colony. He was involved in planning an attack on the Spanish colonies in South America, in combination with the Portuguese, contrary to his orders, but he was recalled to Britain in 1809 before any of the plans could be carried out. He received much popular acclaim for his actions and was treated as a hero, but the government continued to be suspicious of him, and he was not given any official honors. 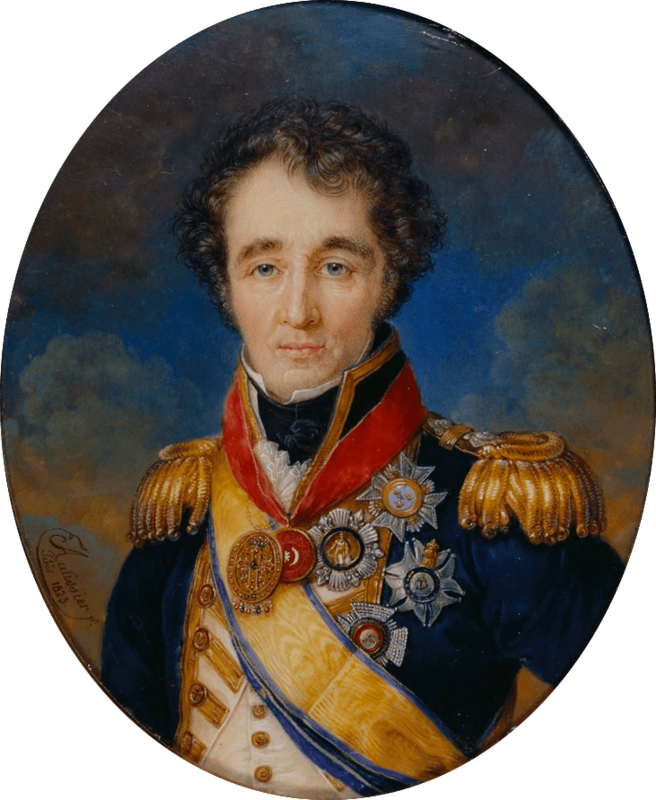 Smith was promoted to Vice Admiral on 31st July 1810. In the Royal Navy of the time, promotion was automatic and based on seniority, not a specific reward for good service. Upon safe arrival to Brazil escorting the Portuguese Royal Family, Smith was awarded the Grand Cross of the newly restored Order of the Tower and Sword by the prince-regent, John. In July 1812, Smith again sailed for the Mediterranean aboard his new flagship, the 74-gun Tremendous. He was appointed as second in command to Vice Admiral Sir Edward Pellew. His task was to blockade Toulon and he transferred his flag to the larger Hibernia, a 110-gun first-rate. Blockade duty was tedious, as the French showed no inclination to come out of port and confront the British. Early in 1814, the Allies entered Paris and Napoleon abdicated, and was exiled to the island of Elba. In March 1815, Napoleon escaped from Elba and gathering his veteran troops marched on Paris where he was reinstated as Emperor of the French. Smith traveling back to England had only reached Brussels by June. Hearing the gunfire of a great battle, he rode out of Brussels and went to meet the Duke of Wellington. Smith found him late in the day when he had just won the Battle of Waterloo. Smith started making arrangements for the collecting and treatment of the many wounded soldiers on both sides. He was then asked to take the surrender of the French garrisons at Arras and Amiens and to ensure that the Allied armies could enter Paris without a fight and that it would be safe for King Louis XVIII to return to his capital. For these and other services, he was finally awarded a British knighthood, the KCB, so he was not just “the Swedish Knight” any more. Smith then took up the anti-slavery cause. 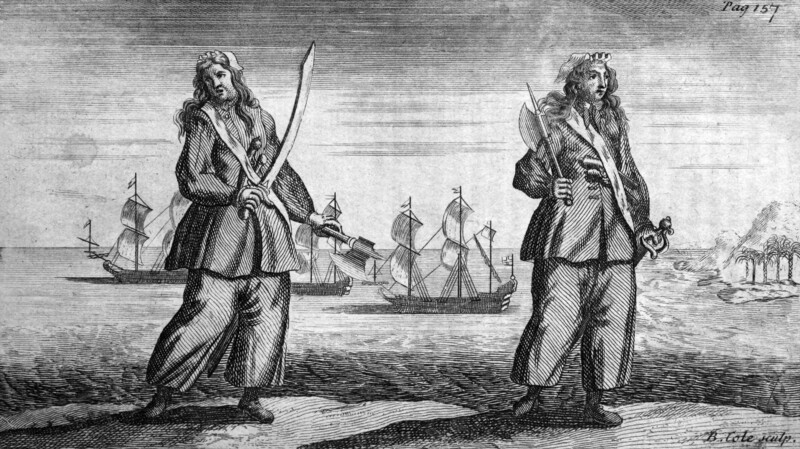 The Barbary pirates had operated for centuries out of a number of North African ports. They had enslaved captured sailors and even made raids to kidnap people from European coasts, including England and Ireland. Smith attended the Congress of Vienna to campaign for funds and military action to end the practice of slave taking. Smith had managed to run up significant debts through his diplomatic expenses, which the British government proved to be very slow in reimbursing. He also lived high lifestyle and his efforts to mobilize opinion against the slave trade had cost a good deal of money. In Britain, at that time debtors were often imprisoned until their debts were paid, so Smith moved his family to France, settling in Paris. Eventually the government did reimburse his expenditures and increased his pension, allowing him to live in some style. Despite frequent attempts to obtain a seagoing position, he was never to hold a command again. 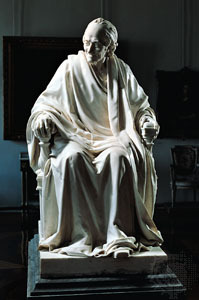 He died on 26th May 1840 following a stroke. 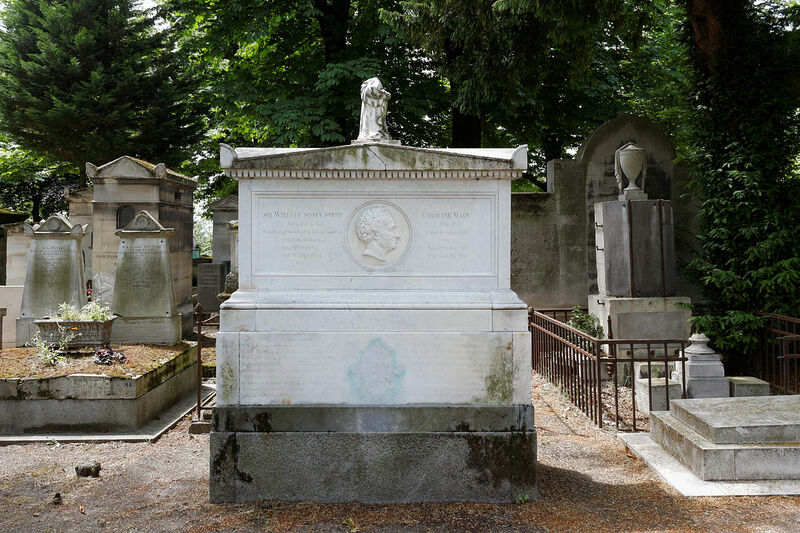 He is buried with his wife in Père Lachaise Cemetery. I have known Sidney Smith for many years because Sir Sidney Smith’s March is popular in folk circles. Makes me want to buy a new instrument. It’s a common tune for Northumbrian small pipes, but here it is on button accordion – my instrument. As a small amusement for you, I found this version played on an ensemble of yuèqín (月琴) in China. The rendition is painfully slow and precise, and why Chinese musicians would play this defeats me (although the 2 on the left are foreigners – the leader is Chinese). This English recipe for raspberry pie (called raspberry tart in the original) comes from the period of the French/Napoleonic wars, taken from William Augustus Henderson’s The Housekeeper’s Instructor (c. 1800). Raspberry pie happens to be a particular favorite of mine, so why not use it to celebrate Sidney Smith? Or choose any other recipe from the period. Today is the birthday (1891) of Antonio Francesco Gramsci, Sardinian-born, Italian social theorist best remembered for his concept of cultural hegemony. He is sometimes characterized as a Marxist, sometimes a neo-Marxist, because he accepted the historical reality of class struggle, and a need for a revolution for equality by the working class. But he did not accept Marx’s view of the inevitability of proletarian revolution, nor of Marx’s theory of economic determinism. He was arrested and imprisoned by Mussolini as a dangerous intellectual, and during his imprisonment he wrote more than 30 notebooks (over 3,000 pages), of history and social analysis. His Prison Notebooks are considered a major contribution to 20th century economic, social, and political theory. Gramsci was born in Ales, on the island of Sardinia, the fourth of seven sons of Francesco Gramsci (1860–1937). Francesco was a low-level government official of Albanian descent who was always in financial difficulty, and was eventually imprisoned for embezzlement. Gramsci had to abandon schooling and work at various casual jobs until his father’s release in 1904. As a boy, Gramsci suffered from health problems, particularly a malformation of the spine that stunted his growth (his adult height was less than 5 feet) and left him seriously hunchbacked. Gramsci was also plagued by various internal disorders throughout his life. Gramsci completed secondary school in Cagliari, where he lodged with his elder brother Gennaro, a former soldier whose time on the mainland had made him a militant socialist. However, Gramsci’s sympathies then did not lie with socialism, but rather with the grievances of impoverished Sardinian peasants and miners. They perceived their neglect as a result of privileges enjoyed by the rapidly industrializing North, and they tended to turn to a growing Sardinian nationalism which was brutally repressed by troops from the Italian mainland. In 1911, Gramsci won a scholarship to study at the University of Turin. 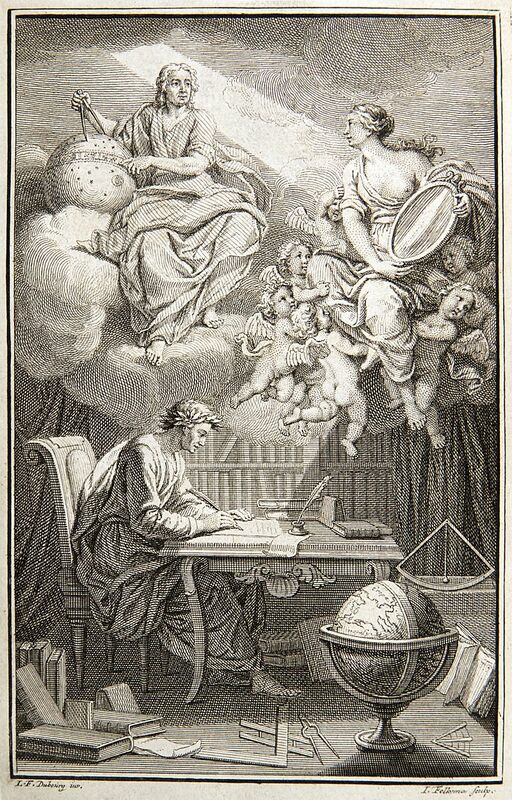 He studied literature and took a keen interest in linguistics, which he studied under Matteo Bartoli. Gramsci was in Turin as it was going through industrialization, with the Fiat and Lancia factories recruiting workers from poorer regions. Trade unions became established, and the first industrial social conflicts started to emerge. Gramsci frequented socialist circles as well as associating with Sardinian emigrants on the Italian mainland. 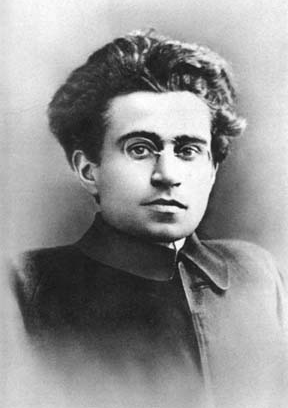 Gramsci joined the Italian Socialist Party in late 1913, where he later occupied a key position. 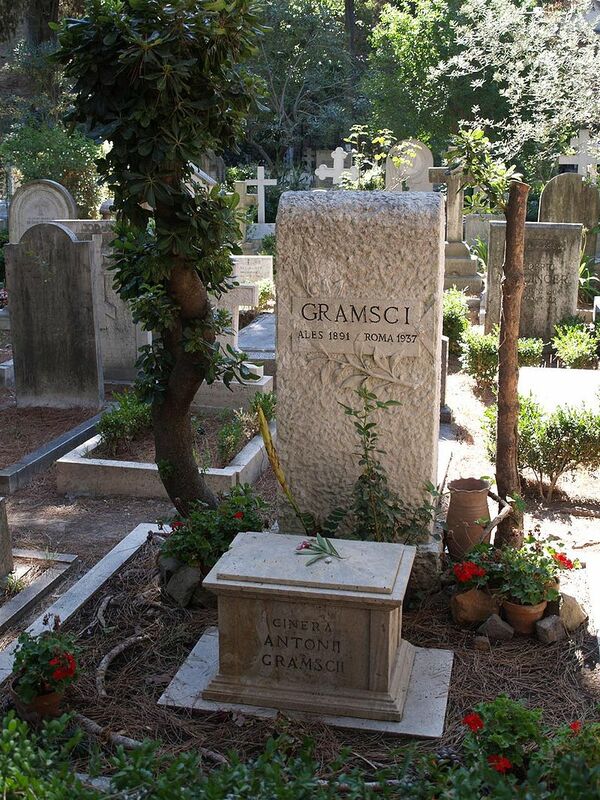 Although showing talent for his studies, Gramsci had financial problems and poor health. Together with his growing political commitment, these led to his abandoning his education in early 1915. From 1914 onward, Gramsci’s writings for socialist newspapers such as Il Grido del Popolo earned him a reputation as a notable journalist. In 1916, he became co-editor of the Piedmont edition of Avanti!, the Socialist Party official organ. An articulate and prolific writer of political theory, Gramsci proved a formidable commentator, writing on all aspects of Turin’s social and political life. Gramsci was, at this time, also involved in the education and organization of Turin workers; he spoke in public for the first time in 1916 and gave talks on topics such as Romain Rolland, the French Revolution, the Paris Commune, and the emancipation of women. 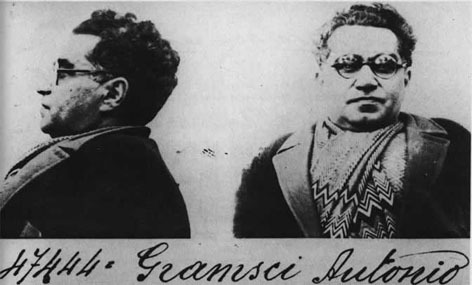 In the wake of the arrest of Socialist Party leaders that followed the revolutionary riots of August 1917, Gramsci became one of Turin’s leading socialists when he was both elected to the party’s Provisional Committee and made editor of Il Grido del Popolo. In April 1919, with Togliatti, Angelo Tasca and Umberto Terracini, Gramsci set up the weekly newspaper L’Ordine Nuovo. In October the same year, despite being divided into various hostile factions, the Socialist Party moved by a large majority to join the Third International. The L’Ordine Nuovo group was seen by Vladimir Lenin as closest in orientation to the Bolsheviks, and it received his backing against the anti-parliamentary programme of the communist Amadeo Bordiga. 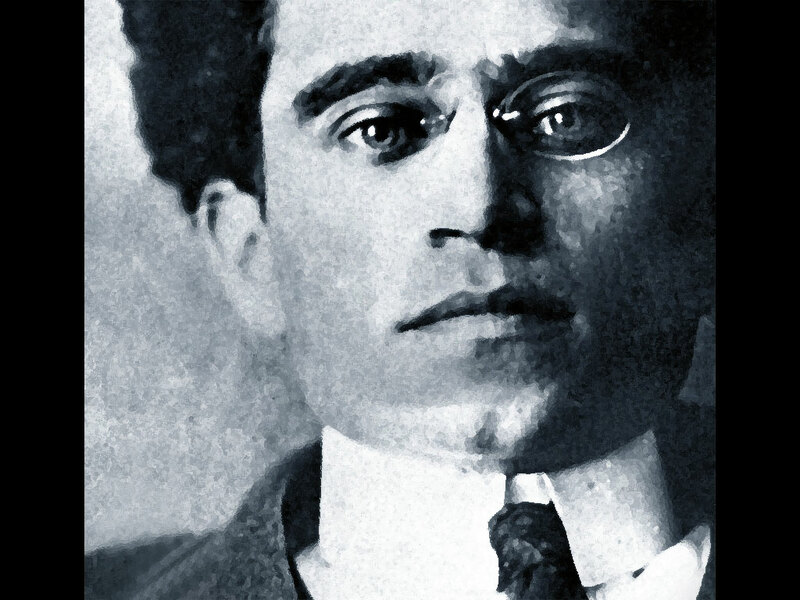 In 1922, Gramsci traveled to Russia as a representative of the new party. Here, he met Julia Schucht, a young violinist whom he married in 1923 and by whom he had two sons, Delio (born 1924) and Giuliano (born 1926). 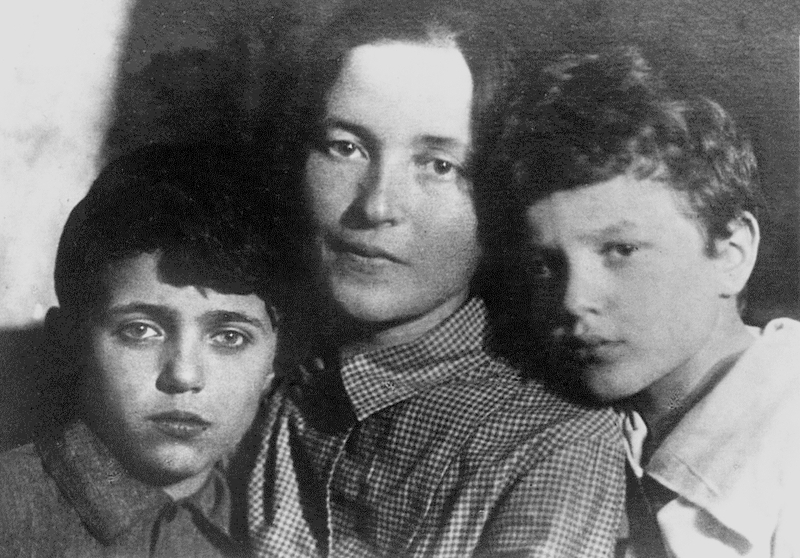 Gramsci never saw his second son. The Russian mission coincided with the advent of fascism in Italy, and Gramsci returned with instructions to foster, against the wishes of the PCI leadership, a united front of leftist parties against fascism. Such a front would ideally have had the PCI at its center, through which Moscow would have controlled all the leftist forces, but others disputed this potential supremacy: socialists did have a certain tradition in Italy, too, while the Communist Party seemed relatively young and too radical. Many believed that an eventual coalition led by communists would have functioned too remotely from political debate, and thus would have run the risk of isolation. In late 1922 and early 1923, Benito Mussolini’s government embarked on a campaign of repression against the opposition parties, arresting most of the PCI leadership, including Bordiga. At the end of 1923, Gramsci travelled from Moscow to Vienna, where he tried to revive a party torn by factional strife. In 1924 Gramsci, now recognized as head of the PCI, gained election as a deputy for the Veneto. He started organizing the launch of the official newspaper of the party, called L’Unità, living in Rome while his family stayed in Moscow. At its Lyon Congress in January 1926, Gramsci’s theses calling for a united front to restore democracy to Italy were adopted by the party. On 9th November 1926, the Fascist government enacted a new wave of emergency laws, taking as a pretext an alleged attempt on Mussolini’s life several days earlier. The fascist police arrested Gramsci, despite his parliamentary immunity, and brought him to the Roman prison Regina Coeli. 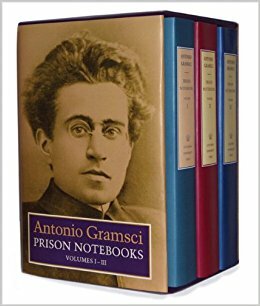 At his trial, Gramsci’s prosecutor stated, “For twenty years we must stop this brain from functioning.” He received an immediate sentence of five years in confinement on the island of Ustica and the following year he received a sentence of 20 years’ imprisonment in Turi, near Bari. Over 11 years in prison, his health deteriorated. His teeth fell out, his digestive system collapsed so that he could not eat solid food. He had convulsions when he vomited blood, and suffered headaches so violent that he beat his head against the walls of his cell. In 1933 he was moved from the prison at Turi to a clinic at Formia, but was still being denied adequate medical attention. Two years later he was moved to the Quisisana clinic in Rome. He was due for release on 21 April 1937 and planned to retire to Sardinia for convalescence, but a combination of arteriosclerosis, pulmonary tuberculosis, high blood pressure, angina, gout and acute gastric disorders meant that he was too ill to move. Gramsci died on 27 April 1937, at the age of 46. His ashes are buried in the Cimitero Acattolico in Rome. Gramsci is best known for his theory of cultural hegemony, which describes how the state and ruling capitalist class – the bourgeoisie – use cultural institutions to maintain power in capitalist societies. The bourgeoisie in Gramsci’s view develops a hegemonic culture using ideology over and above violence, economic force, or coercion. Hegemonic culture propagates its own values and norms so that they become the “common sense” values of all and thus maintain the status quo. Hegemonic power is therefore used to maintain consent to the capitalist order, rather than coercive power using force to maintain order. This cultural hegemony is produced and reproduced by the dominant class through the institutions that form the superstructure. Gramsci’s key point, as far as I am concerned, is that Marx’s conviction that the revolution of the working class against capitalism was an inevitable result of the forces of economic determinism, was in error. He believed that an intellectual revolution was an important precursor of social/economic revolution. To counter the notion that bourgeois values represented “natural” or “normal” values for society, the working class needed to develop a culture of its own. Lenin held that culture was “ancillary” to political objectives, but for Gramsci it was fundamental to the attainment of power that cultural hegemony be achieved first. In Gramsci’s view, a class cannot dominate in modern conditions by merely advancing its own narrow economic interests; neither can it dominate purely through force and coercion. Rather, it must exert intellectual and moral leadership. In my oh-so-humble opinion, Gramsci hit the nail squarely on the head, especially in light of affairs in the West these days. Without too much provocation I could launch into a long rant. I’ll try to keep it short. Right now, moneyed interests control the media which means that they control the discourse. Media do not just include news outlets, but also entertainment. All these outlets reinforce the “normal” values of society, which at present include a distrust of intellectuals, and a distrust of education. Consequently, information that benefits moneyed interests – including misinformation and disinformation – can be disseminated with little or no critical reception by the general public. Gramsci’s native Sardinia has a cuisine that overlaps that of mainland Italy, but with a few idiosyncrasies. One of these is a distinctive pasta called fregola or fregula. 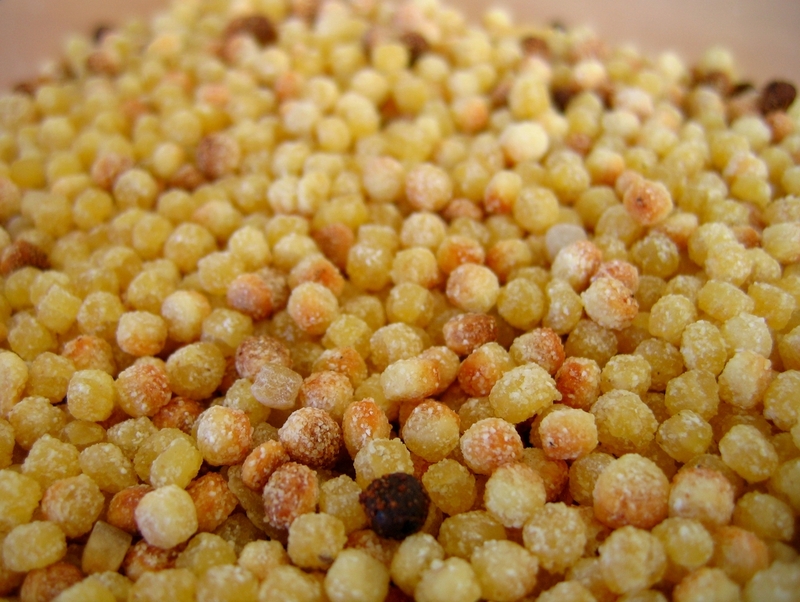 Fregola are semolina dough that has been rolled into balls 2–3 mm in diameter and toasted in an oven. 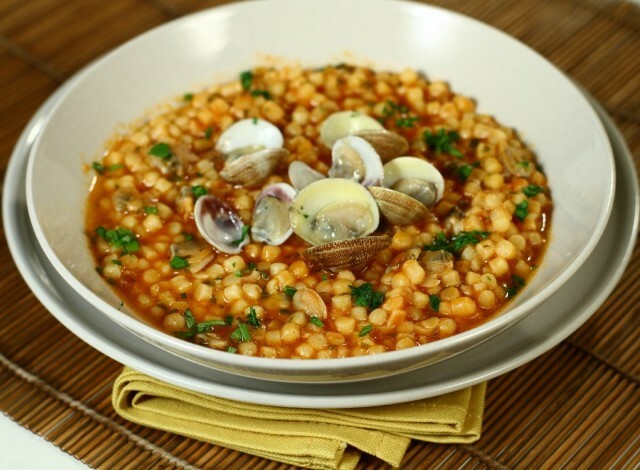 Fregola with clams is a common dish in Sardinia. It is usually served with pane carasau, a thin and crisp flatbread. Heat the olive oil in a large heavy pot. Add the minced garlic and cook over moderately high heat for approximately 30 seconds. Add the chopped tomatoes, plus hot pepper flakes and pepper to taste. Cook for 3 or 4 minutes. Add the wine and parsley and simmer for 5 for minutes. Place the clams, in a single layer, on top of the mixture and cover tightly. Cook over moderately high heat until the clams open, probably about 5 mins. Discard any clams that do not open. As they open, scoop out the clams into a large bowl. Repeat with a second batch, if required. When all the clams are cooked, add 4 cups of chicken broth to the tomatoes and bring to a boil. Add the fregola pasta. Bring back to a boil, then cover and simmer over moderately low heat, stirring occasionally, until al dente (about 15 minutes). Taste, and adjust seasonings. Usually extra salt is not necessary. Return the clams to reheat for a minute or two, then serve garnished with chopped parsley. If you can find it, serve with Sardinian flatbread.